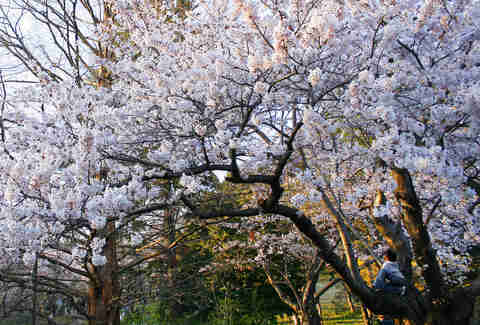 It happens but once a year and only for about two weeks, but nothing makes you feel like spring has finally sprung quite like catching a glimpse of a sea of cotton candy-hued blooms. Just try not to go on a weekend or risk getting trapped in a vortex of photo-happy tourists. Heights shmeights. Just don’t look down and you should be totally fine walking around outside 1,168ft (356m) in the air. 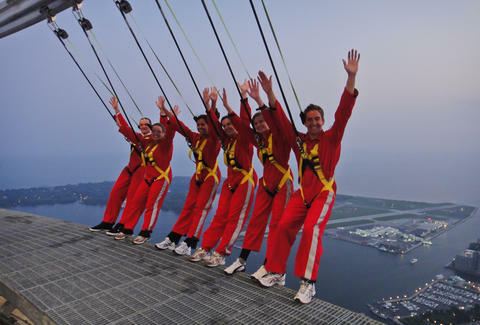 The hands-free walk along an outside edge of the tower is known as “Toronto’s tallest urban adventure” and takes about 30 minutes. Don’t worry, you’re strapped in. You can even get married up there should you want to say “I do” atop one of the world’s tallest buildings. Summer’s just not summer without jumping on a ferry to the islands. Whether you hit Ward’s, Hanlan’s Point, or Centre Island, it’s the perfect warm weather escape for the poor schlubs who don’t have a cottage. Or any friends willing to invite them to their cottages. 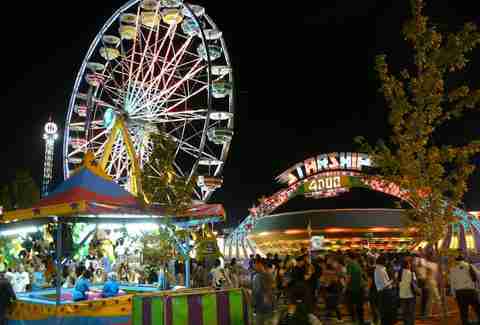 Whether you go to the CNE (aka the Ex) for the food (see below), the nostalgia, the games, or the rides, a trip to the Ex is a quintessential end of summer Toronto experience. Apologize to your arteries in advance and promise yourself you’ll eat a salad in the near future before you dive into the plethora of deep-fried and totally unhealthy foods on offer each year at the CNE’s Food Building. The largest heated indoor/outdoor pool in the city is also a year-round one that allows you to swim outside -- even in the winter. Winters here are long, okay? Sometimes you just need to pretend it’s not happening. No bathing suit? No problem. You can hit the beach in your birthday suit on the clothing-optional beach at Hanlan’s Point. Whether it’s to avoid frostbite-inducing wind chill or out of sheer unwillingness to see the light of day, if you haven’t made like a mole person and spent a whole day traversing the world’s largest underground shopping complex, you haven’t lived. Kensington Market is best experienced without having to watch for cars and Pedestrian Sundays, which fall on the last Sunday of the month from May to October, see the market blissfully vehicle-free. 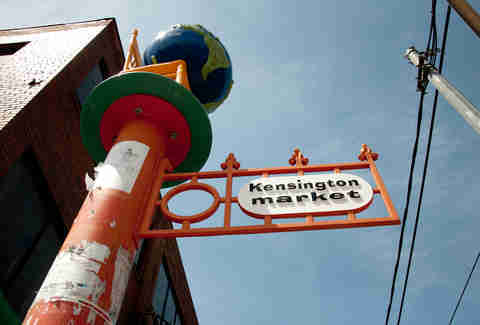 A carless Sunday in Kensington also means street performers, music, art, and food vendors. Toronto winters can be notoriously harsh, but let Mother Nature do her worst as you stay nice and cozy walking among six greenhouses covering 16,000sqft of tropical warmth. Stand-up paddleboarding went from being the next big thing to being, well, a thing. 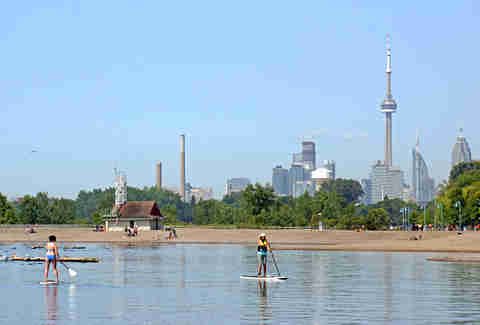 And doing it on Lake Ontario, either in the West end along the Lakeshore or the beach in the East end is a great way to see Toronto, admire the skyline from the water, and get a workout. If Anthony Bourdain recommends it, you can’t really say no (unless you’re a vegetarian). But seriously, the peameal bacon sandwich from Carousel Bakery in St. Lawrence Market is an iconic must-try dish in Toronto. Carousel Bakery can serve up over 2,600 of these on a busy day at the market. Peameal bacon sandwiches aren’t the only thing worth eating in St. Lawrence Market. So long as you don’t try to go on a Saturday (because you won’t be able to move) there are SO many things to eat. A lobster roll from Buster’s Sea Cove, bagels from St. Urbain, fried eggplant sandwiches from Uno Mustachio... Just bring your appetite and you can’t go wrong. The Art Gallery of Ontario is well worth a visit in its own right but why not go when you can also enjoy a few drinks and browse exhibits after hours? In addition to art appreciation combined with adult beverages, you get food, live music, DJs, and unique installations you won’t see during regular hours. Once the weather warms up, nabbing a patch of grass in Trinity Bellwoods Park can be tough but it’s worth it. Grab some fish and chips from Chippy’s across from the park and settle in for a gloriously lazy afternoon. Toronto has some pretty amazing street art. 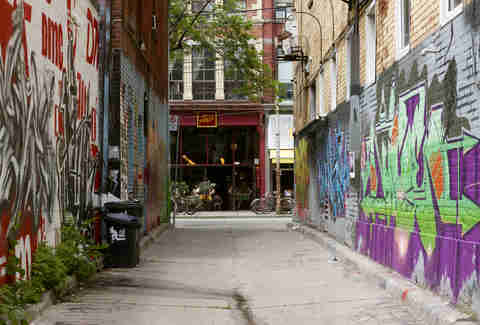 You can see a ton of it along Graffiti Alley, otherwise known as Rush Ln, running West from Spadina Ave to Portland St. The vibrant display features about a kilometre of colourful street art. 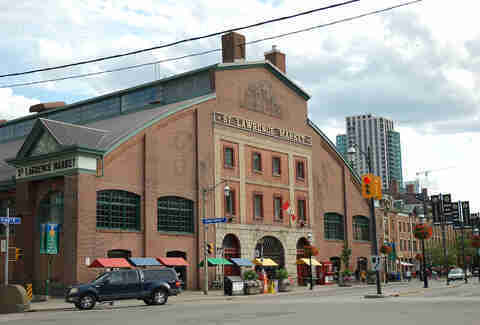 What was once the Gooderham and Worts whiskey distillery is now one of Toronto’s most unique neighbourhoods. The pedestrian-only village with its cobblestone streets and Victorian-era brick buildings is filled with restaurants, bars, artist studios, cafes, and independent boutiques. We suggest stops at El Catrin and Mill St. Brew Pub while you’re there.